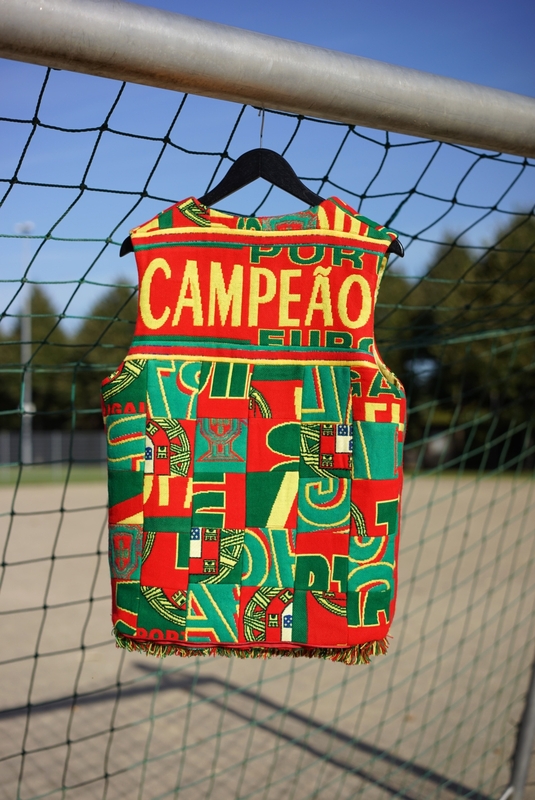 Continuing on the theme of reversible vests made from scarves, here’s one for Portugal/Ronaldo and their unexpected but deserved win at the Euros. 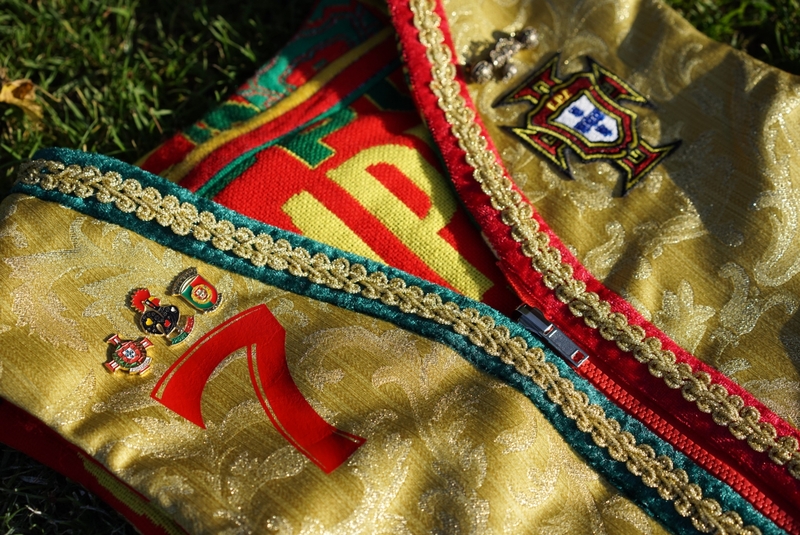 CR7 has had a good 2016 so far, winning the Champions League and Euros. 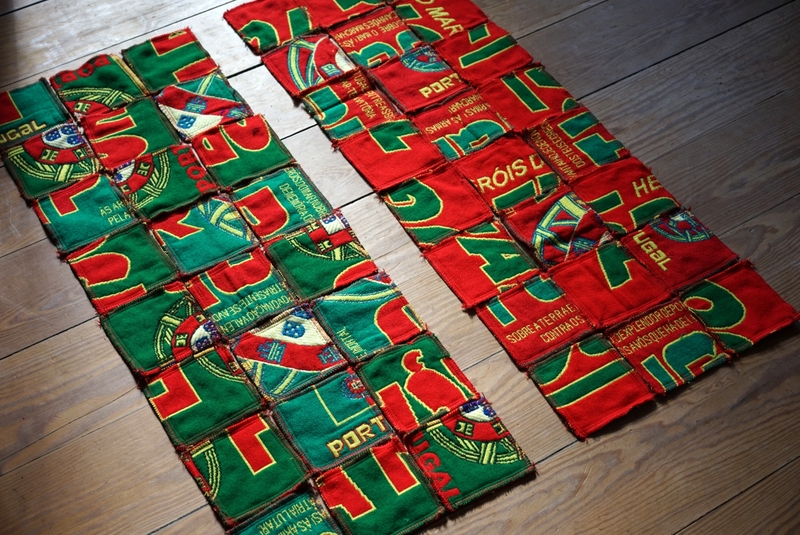 And as I had coincidentally been in Lisbon for holidays two days after they won, Portugal football paraphernalia was everywhere. 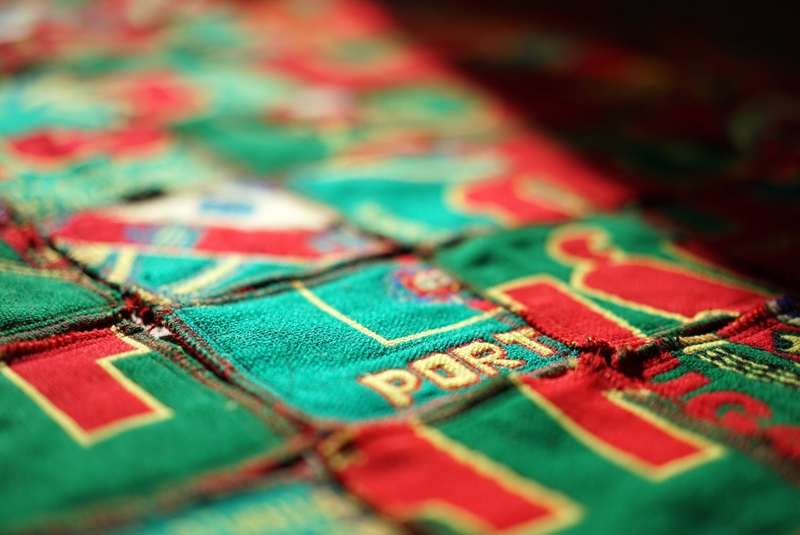 The scarf side is inspired by Portuguese azujelo tiles, therefore, the pattern is squared. 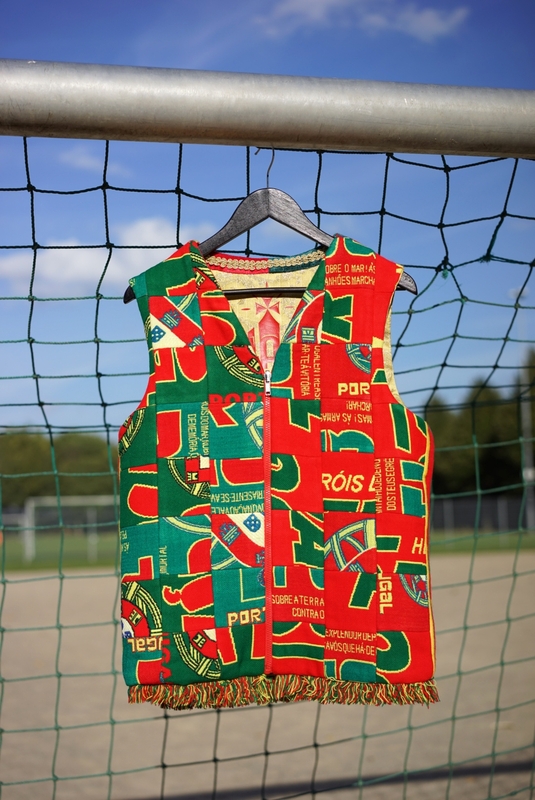 The coloration on front is inspiration by the Portuguese flag. 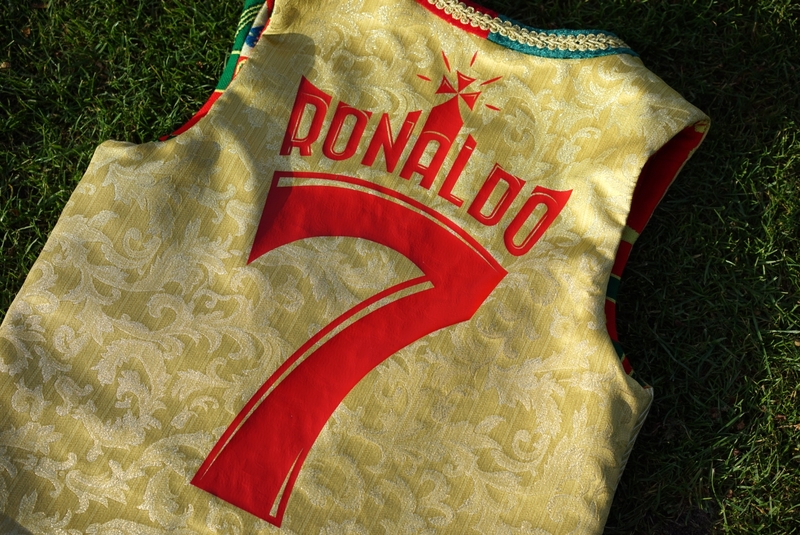 The reverse gold side is the victory side, with jacquard filigree pattern as seen in many azujelo tiles. 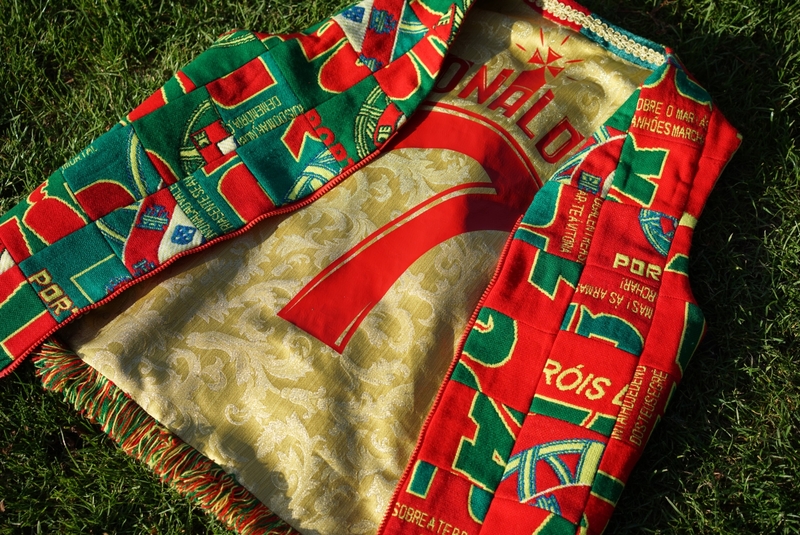 It’s name and numbered for Ronaldo, the back of which is a crowned tribute with Maltese cross on top. 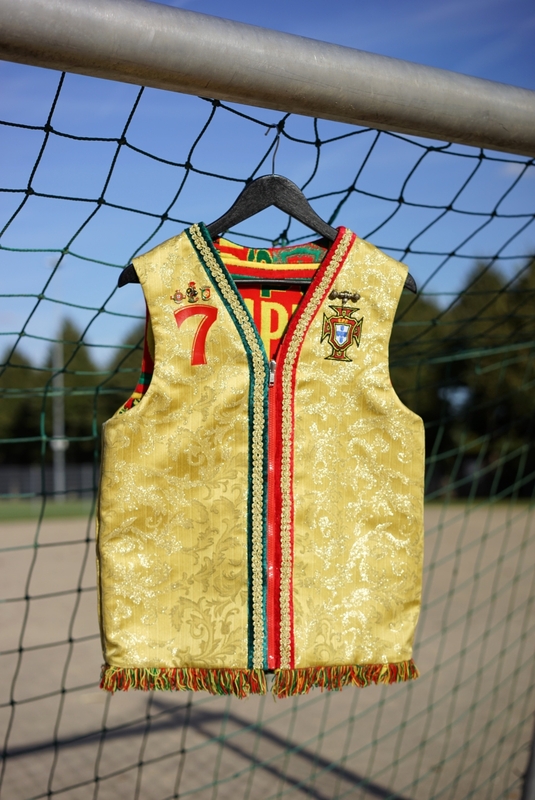 The front is embellished with found pins to give it that extra regal touch.